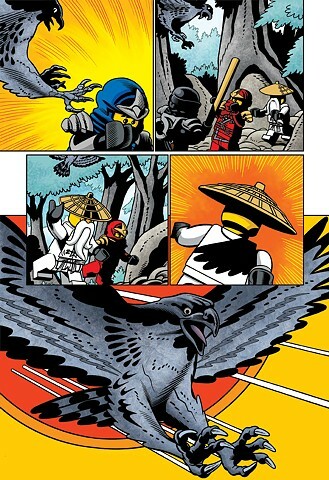 Ninjago book 6 page 4. As our heroes explore a stone forest they're attacked by a stone bird. I throw in-jokes in for my amusement but also aimed at friends. The storytelling is all important so hopefully I avoid disturbing it with the odd gag. Colouring by Jay Jay Jackson.